How much anger have you felt since you or your loved one was diagnosed? For some, anger is a very normal reaction to feelings of loss and grief. If you look at anger as energy that you direct towards making needed changes, it can be a positive coping force in your life. However, there is always a danger in getting stuck in anger which then creates its own special problems. Let’s look at how to identify anger and how to get a grip on it before it becomes unhealthy and makes you feel ill.
What does Anger look like in the everyday world? Do these behaviors describe you? We usually can sense when someone is angry. Whether they are loud, forceful, abrupt in their gestures or tense (even when smiling) it’s not hard to be affected by their behavior. Men and women are socialized differently when it comes to expression of anger. Women may feel angry, but express it in either sadness or depression. Men usually have an easier time expressing anger, although it is often seen as a “bad” emotion as well as a personal shortcoming. Often underneath anger are other feelings such as fear, anxiety, sadness, confusion, or even guilt and embarrassment. Whether the threat is real or not, anger activates your autonomic nervous system- the fight or flight response. You may feel a faster heartbeat, quicker breathing, sweating, flushed skin or even an adrenaline rush. 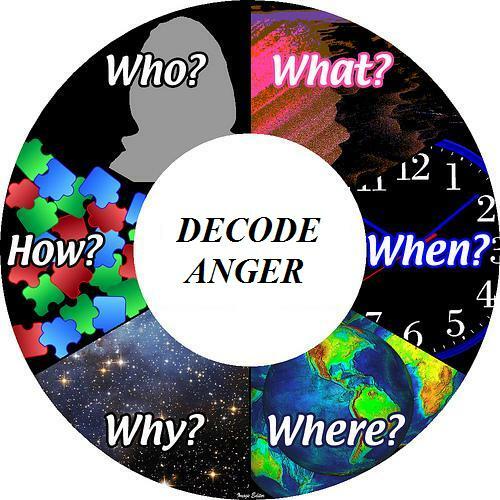 Although this is a necessary physical response for survival, ongoing extended anger is damaging to health. Anger can make you sick. Anger becomes a problem when it interferes with your well -being and your ability to carry out the activities of your daily life. So despite the fact that we can’t control all the frustrations in our lives and the limitations of illness, you can change how you deal with anger. What are some Survival Skills to manage ANGER? Sometimes it is important to LET IT OUT. Knowing how and when to verbalize feelings effectively is the challenge. Know the difference between anger and assertiveness. The goal of assertive communication is to express your feelings directly without anger. Being assertive could be actively learning more about the illness and finding ways to cope that work for you. Listen to my podcast 8 tips to Improve the Dance of Communication for some helpful ways to improve your assertiveness. Remember you can’t change anyone except yourself. Try challenging your negative thinking and come up with an alternative authentic thought to substitute the self- talk that is fueling your anger. Give yourself a certain amount of time each day (10-15 minutes) and focus on what is bothering you and then move on to the rest of your day. Consider journaling about it. Find time to focus on someone or something else- a friend, a pet, or some community service to get the focus off yourself. Practice “Taking in the Good” by spending a few extra moments focusing on what is right in your life. 1. Is this matter important to me? 2. Is what I am feeling and/or thinking appropriate to the situation? 3. Is this situation modifiable in ways that will reduce my negative feelings? 4. When I balance the needs of myself and others, is the action worth taking? If the answer is NO to all of these, then you need to deflect your anger with some of the ideas listed above. Go to their website, Williams Life Skills, for their Anger Quiz to find out how you score. Another great resource is found on the American Psychological Association website: Controlling anger before it controls you. If you find that you are having difficulty with your anger and it is interfering with your daily life, consider seeking out some professional help. Contact a local mental health professional or ask your physician for a referral. Remember– although we can’t avoid feeling anger as we deal with the stresses and strains of life and the challenges of illness, we can learn how to use its energy for moving forward. Don’t let anger run your life. In times of great stress and adversity, it’s always best to keep busy to plow your anger and energy into something positive. Anger makes you smaller, while forgiveness forces you to grow beyond what you are.